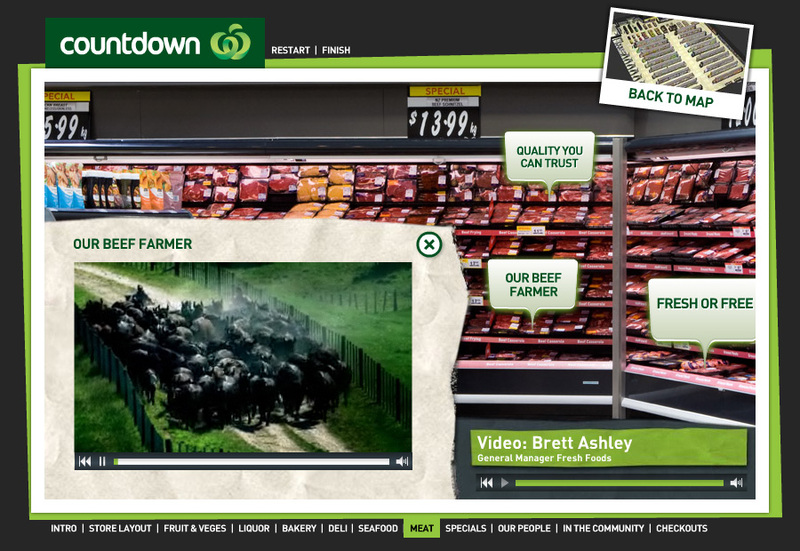 As part of Countdown’s new ‘Shop Smarter’ campaign, Ogilvy was tasked with creating an Online Store Tour. 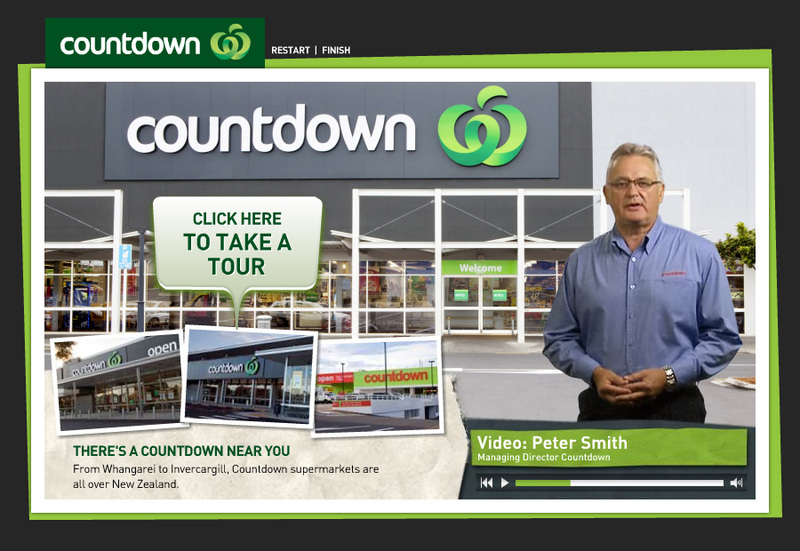 Its goal was to communicate with customers on how they can shop smarter in new generation Countdown stores. 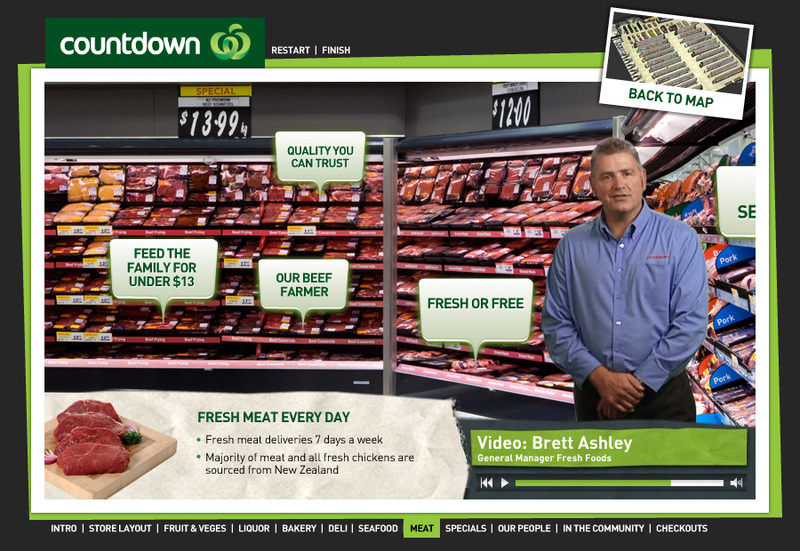 The tour included video messages, audio snippets, a shop layout map, area views and info bubbles. 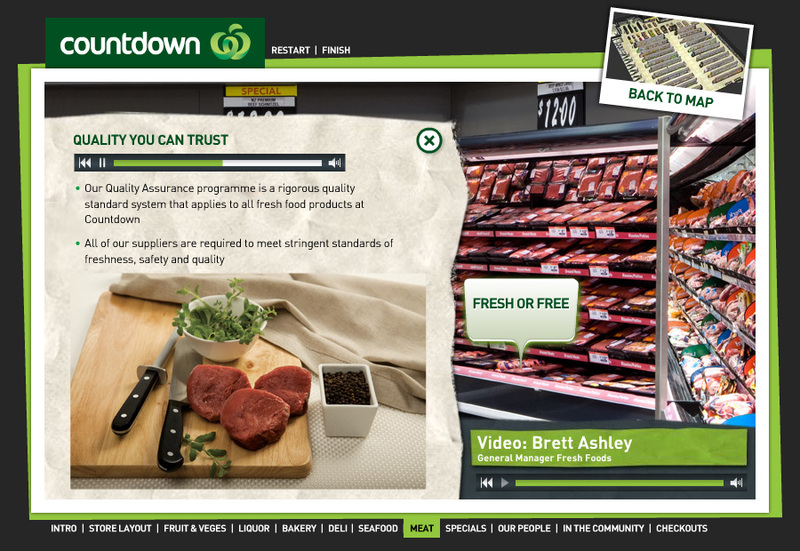 All of which showed how the news stores were designed for the customers and how to get the most out of their shopping. 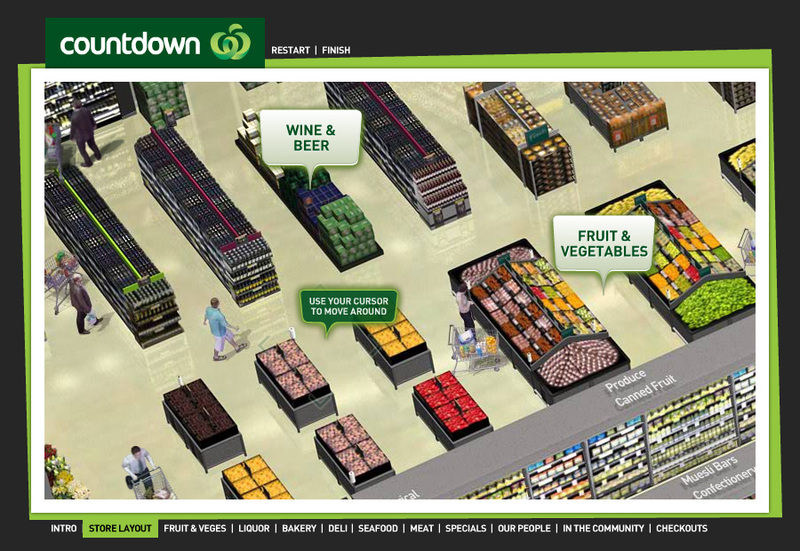 Role: My role in this project was to build the Online Store Tour. I was the sole flash developer and worked with designers, audio department and the video department for assets. The map was created in Maya by a designer and brought through as an image for the background and videos for the animations. I worked on the “crash zoom” video from the intro to map in After Effects. Each department was a seperate SWF that could communicate back to the main SWF and be changed out at any stage. All video and audio was loaded on the fly to keep loading times to a minimum.